As always my talking and teaching style will reflect the age group of your pupils, making for an informative and fun learning experience. We will get to meet within the school hall a great variety of Raptors such as Owls, Hawks, Falcons, Kites and Eagles (click on MEET THE RAPTORS to see the team). This enables us to talk about many of their adaptations, from the ultraviolet vision of Kestrels, hunting by sound of the Owls to the high speed pursuits of the Peregrine . Not just meeting, but we will also fly some birds over the pupils heads within the school hall! This not only demonstrates some of what we have learnt, but is thrilling for the pupils-really cementing in the information I will have passed on. Depending on the talk topic, we may also pass around various 'props' such as feathers, Pellets and Falconry equipment. To order copies at £4.99 each please ask upon booking. 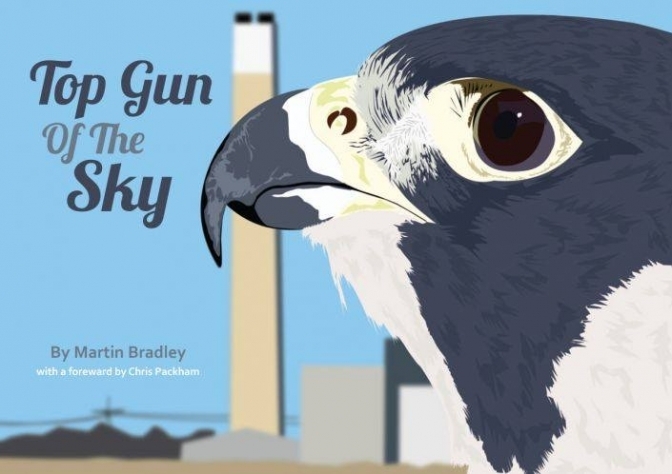 This book is out of this world to capture the imagination of your pupils as they follow the life of a Peregrine Falcon-the worlds fastest animal. Packed full of superb pictures and with a writing style that is just perfect for children of all ages..